I have a confession to make … I have never flown with Etihad. I have heard great things about their premium products and friends who have flown in Economy were (primarily) happy too. As a result, I could be tempted to fly Etihad in the future, especially when travelling to Asia and Australia as I feel that they provide good coverage in those areas, especially when compared with some of the airlines included in Star Alliance, my preferred alliance of the now, due to my Gold status. I have held Gold status with Sky Team and OneWorld before (I had all three at the same time) but sadly that is no longer the case. 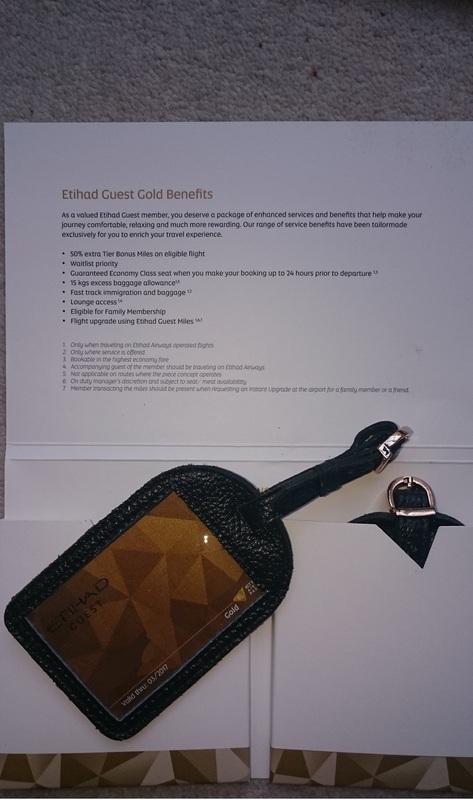 I really value lounge access and other benefits that make my travels easier, particularly when travelling longhaul, so I jumped at the chance to have my Star Alliance Gold status matched to Etihad Guest Gold when a promotion was introduced by Etihad a few months ago. 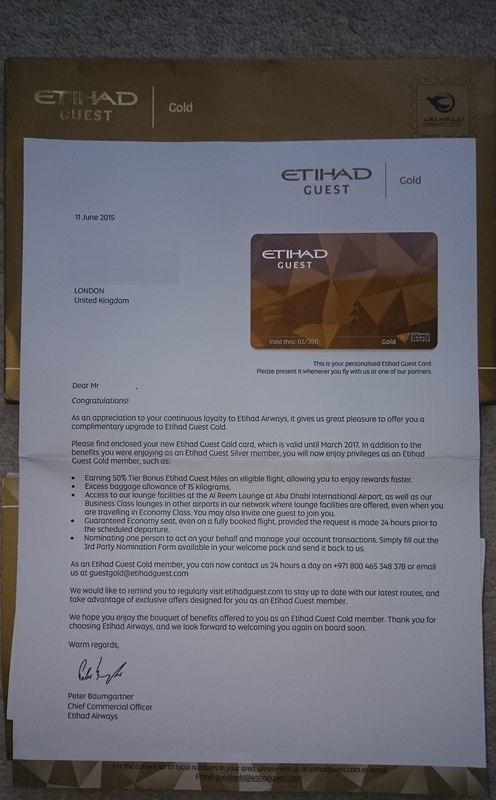 The process was fairly straight forward, I sent Etihad Guest an email with a scanned copy of my Aegean Gold card and statement and my details and a few weeks later (it took quite a while!) I had confirmation that my application was successful. At the time I was information that the card would be sent a couple of months later but could print out the confirmation email to take advantage of the benefits if flying before then. 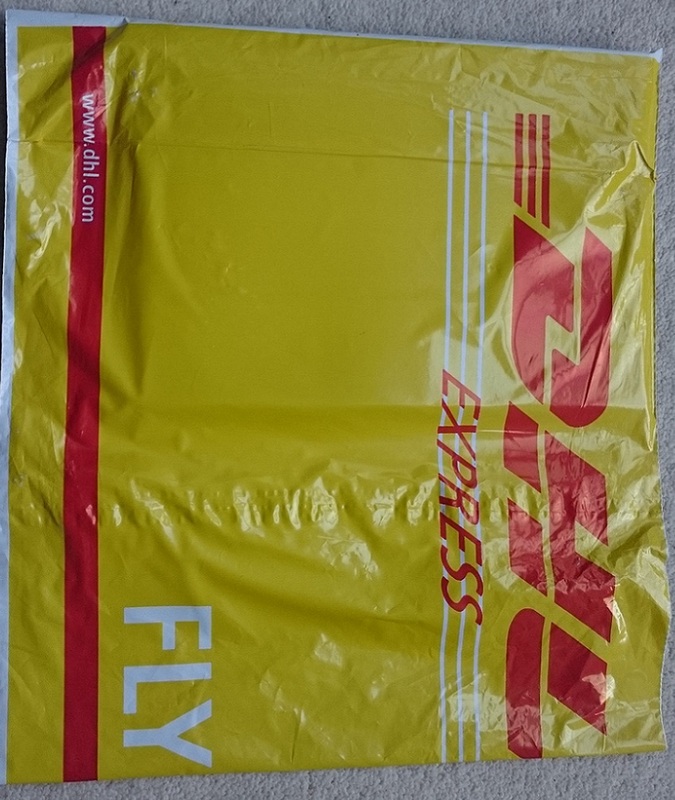 Later I received an email confirming my postal address and phone number and informing me that the card would be sent via DHL. I was starting to feel like a value guest already! Inside the DHL envelope I found a Gold envelope containing all the membership materials. 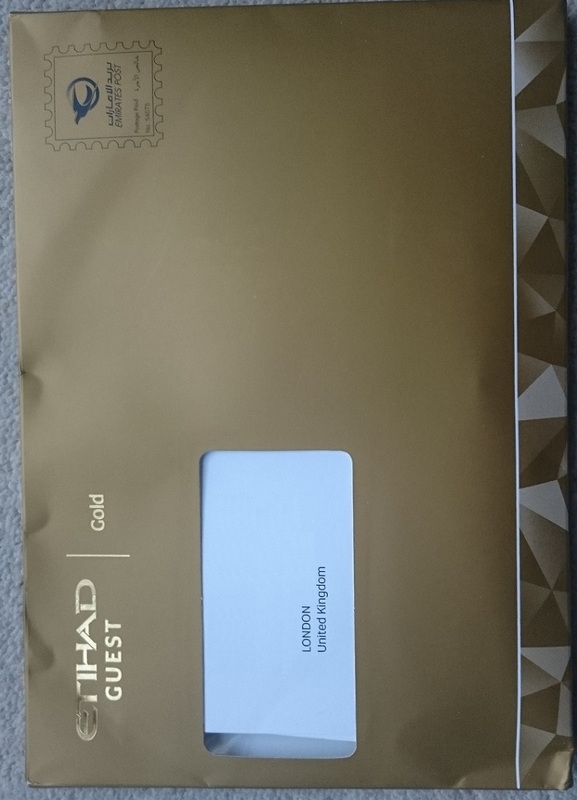 Including a welcome letter explaining the benefits of Gold membership, along with my new card (I have covered the name and membership number that appeared on the card for privacy reasons, but the photograph should give you an idea of what the card looks like). There is also the option of nominating someone else (e.g. 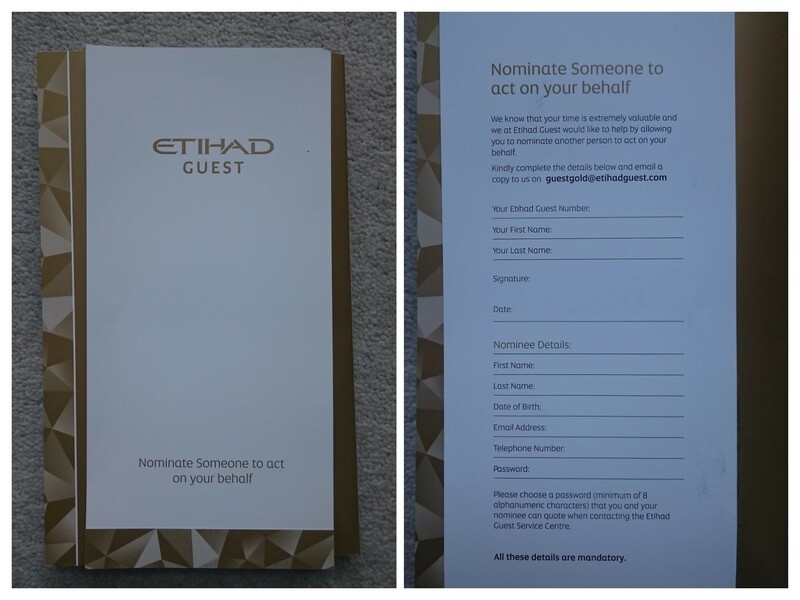 PA) who can manage your account and travel needs for you, just by filling in their details in the form below and sending it back to the Etihad Guest customer services team. My favourite feature of all is the two luggage tags. They look and feel great. I just now have to decide whether I replace my Lufthansa Senator luggage tag with these! I think it will depend on the airline I’m flying with at the time. Hi Moritz, thank you for reading and commenting. The link you have provided doesn’t seem to work but your blog looks very interesting. I love Abu Dhabi (much more than Dubai) and will definitely enjoy the lounge next time I visit. I’m sure you’ll love the lounge. It’s kind of inspired by the city! Be sure to also try the complimentary 15 minutes massage!